A gas fitter has been fined after carrying out gas work whilst no longer being Gas Safe registered. Liverpool Magistrates’ Court heard how Kevin Shephard carried out work on gas fittings and issued Landlord Gas Safety Certificates over a period from April 2016 to July 2017 at various domestic properties. Mr Shephard was also the landlord of one of the properties, however he did not hold the necessary registration to complete this work. 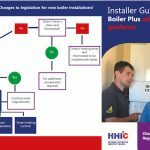 An investigation by the Health and Safety Executive (HSE) found that Mr Shephard had previously been registered with Gas Safe during several periods between 27 November 2013 and 15 June 2016. The registration had lapsed on 15 June 2016 coinciding with the expiry of Mr Shephard’s gas competence qualifications. Multiple correspondence was sent to Mr Shephard by the Gas Safe Register regarding the expiry of his registration. The registration was not renewed, resulting in him illegally carrying out the gas work. Mr Kevin Shephard of Edinburgh Drive, Huyton, Liverpool, pleaded guilty to breaching Regulation 3(3), 36(3)a and 36(3)c of the Gas Safety (Installation and Use) Regulations 1998. He has been fined £2000 and ordered to pay costs of £2000.